We worked with this client previously on upgrading their main house system. 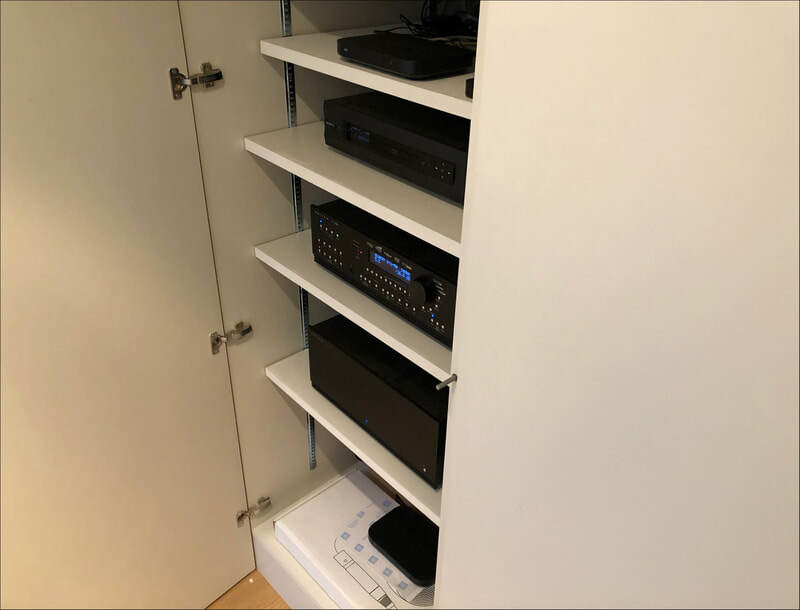 This involved installing various Naim Uniti systems to allow for music playback throughout as well as a concise upgrade to an existing home cinema. Coupled with out other services such as Home networking and security. The summer house project was exciting and challenging in equal measures. The aim was to create a self contained home that could also be used during the summer for bbq parties as well as allow for guests to stay over. A true multi purpose space! The basement space is a combination of studio, bathroom and exercise space. however, at the touch of a button, the lights dim and a fantastic home cinema can thrill the guests. 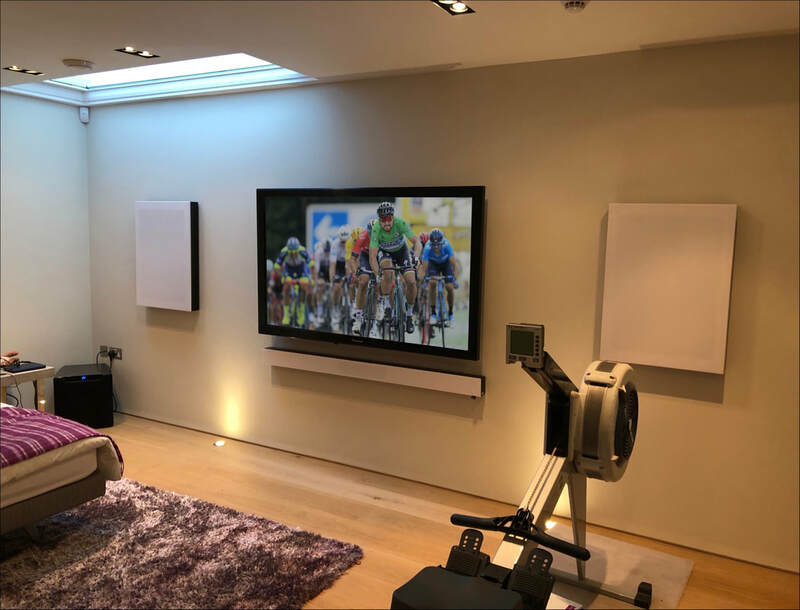 We used our favourite AV equipment, Anthem for the task of video and Audio processing whilst keeping the aesthetic subtle by using Artcoustic on wall speakers. A 60" Panasonic Professional VX series Plasma delivers true to life images to match the soundtrack. The ground floor space is a living space and kitchen that opens out through large glass doors to encompass the garden outside. Again a television system from Panasonic is coupled to the Anthem cinema system and a music system by Naim. Artcoustic loudspeakers again keep a subtle design with solid sound delivery. Outside speakers ensure the bbq can turn into a party at any moment, with the Naim system allowing Tidal, Spotify plus access to the central music library of digitised CDs. 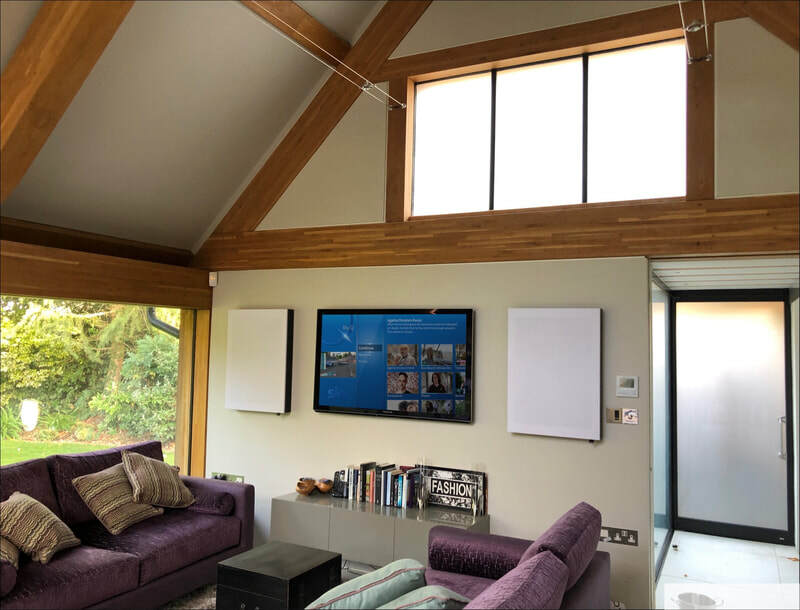 The summer house is connected to the main house through subterranean cables pipping the home network and Sky signals between both buildings. When the crowd grows, both properties can play the same music or movies simultaneously but at different volumes as desired, to keep the party going. 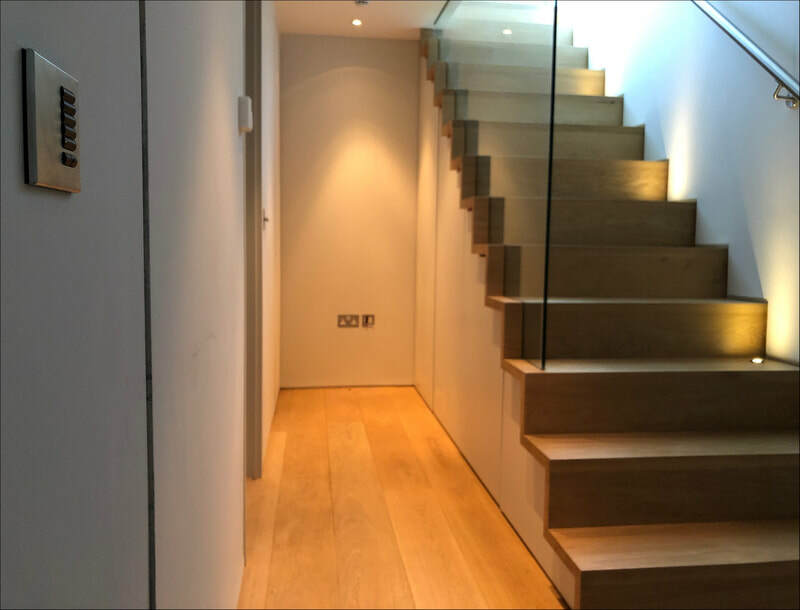 Lutron lighting highlights the fantastic wooden construction of the summer house and offers various 'light mood' scenes depending on the occasion. Crestron control and video distribution is the key to the success and ease of use of both of these systems and maintain solid reliability no matter how much the system is used.